It’s no surprise the MLB All-Star is a popularity contest and is topic that generates good conversation. We’re still in the midst of a wild MLB season, but it’s a good time to speculate who will make this year’s MLB All-Star picks. Many are voted to the team year in year out when they aren’t having the best year. Even injured players still get voted it in. On the other hand, coaches, managers, and active players get to cast their votes for their respective teammates and reserve players. When all’s said and done, every team will have at least one representative at the game. As mentioned, there’s been some past selections that leaves you scratching your head. Mike Williams, who last toed the rubber for the Philadelphia Phillies in 2003, has the dubious distinction to be ranked by ESPN as one of the worst selections in MLB history. When selected for the 2003 Midsummer Classic, Williams had the highest ERA (6.29) in history for any participant. In July of ‘03, Williams was traded by the Bucs to the Phillies and ended the year with a 1-7 record with 6.14 ERA. Williams never played again. While there are some obvious headscratchers, there are some stunning surprises. 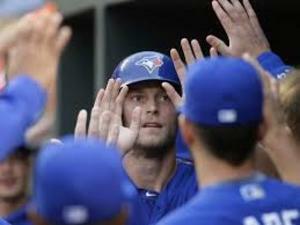 Canadian born and current Toronto Blue Jay, Michael Saunders is having a career year. Without a doubt, he deserves to be a starter on the American League squad. To put this into perspective, after 61 games Saunders has hit 15 home runs (career high 19) and driven in 32 (career high 57). His .309 average, nearly 40 points higher than his previous best, ranks 10th in the AL and 7th amongst outfielders. In addition, he’s third in all of baseball in slugging behind future Hall of Famer David Ortiz, Baltimore Orioles standout Manny Machado, and Cincinnati Red’s breakout star, Adam Duvall. 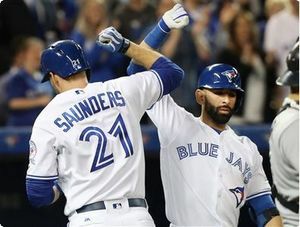 Saunders sits fourth in OPS behind Ortiz, Washington’s Daniel Murphy, and Machado. Saunders is up against other outfielders that are having an absolutely stunning first half of the season. Mark Trumbo and Carlos Beltran are turning back the clocks crushing the baseball at a phenomenal rate and Red Sox fans have to love what Mookie Betts and Jackie Bradley Jr. are doing on the diamond. They have opposing pitchers wondering what gets these guys out consistently? Both are nearing 50 RBI and each are well on their way to career highs in nearly every offensive category. Guys like Saunders, who have more than pulled their own weight, deserve that opportunity to participate in a once in a lifetime weekend. Baseball is a fickle game. A chance like this may never happen again. ← When has “fandom” gone too far?